The new internet tablet was announced two days ago. This is clearly an evolution of the last model N800, but a few substantial differences between the two open new possiblities for alternative use cases of this device. One of the most wanted features for the internet tablet was a sliding keyboard, the new model comes with a sliding keyboard retro-illuminated and automatically adjusted by a light intensity sensor in the front. Important news come from the display front: the older models missed a transflective screen which limitated outdoor use, the new model brings a new transflective screen that could overcome this limit opening new use cases for the device. Performance: the same CPU with different clock speed (330 vs. 400 MHz) means better performances while the battery autonomy has to be confirmed not being dropped by the increased clock speed. We all hope that the new operating system version will bring substantial improvements on this side. Memory: internal memory has been increased by 2GB internal storage flas, but this will not compensate the lack of the second card slot that was present in the N800. Another key point is that the new model accepts only mini sd or micro sd but not full size as the N800 does. Good/bad new on the size and weight side: while the size is smaller, the weight is slightly bigger and the stereo loudspeackers disapperared from the front and were moved to the top side. 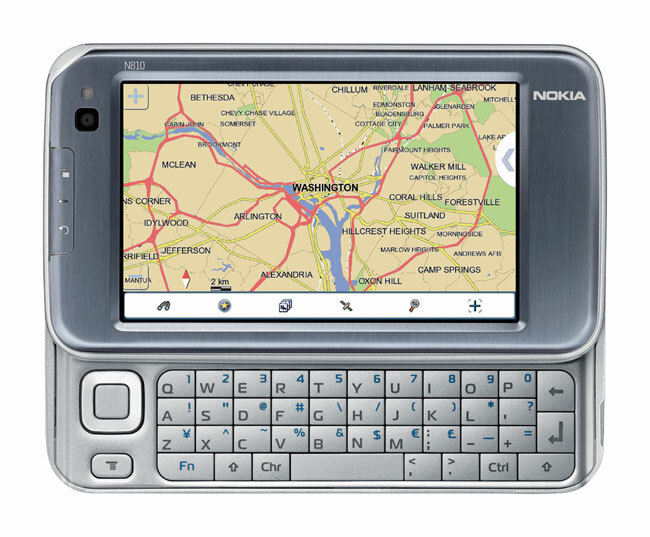 The new operating system OS2008 will be installed on the N810 and will be also available as an update for the older N800 models. A comparison table will help us to understand the differences.